Apple’s Siri may have been the pioneering voice assistant on a smartphone, but it’s been years since most of us took her very seriously. Over the years, she’s often been accused of not being able to understand what we’re saying. More importantly, after the arrival of the Google Assistant and Amazon Alexa, Siri appears to be not as smart when it comes to answering our queries. Let’s deep dive into why that perception exists and why other voice assistants seem to be faring better. We’ve visualized intelligent, talking computers in science fiction movies and literature for decades (HAL 9000, KITT from Knight Rider, COMPUTER from Star Trek, J.A.R.V.I.S from Iron Man… the list goes on). Interestingly, Apple created a concept video back in 1987 titled “Knowledge Navigator.” It bears a resemblance to what Siri and other smart assistants are like today. In February 2010, Siri first appeared as an app on the iOS App Store. Apple went on to acquire the startup behind it two months after. Skip forward to October 2011, and we see Siri’s first integration, with the iPhone 4S. Apple pulled the standalone app from the App Store after the integration. Siri was much more advanced than the Voice Control feature than previously existed for the iPhone. Voice Control only performed basic functions like making phone calls or playing music. Siri seemed to understand naturally-spoken language better than digital assistants that came before. For instance, you could ask Siri about the weather or ask it to set an alarm in multiple ways, and still get an appropriate response. Check out this original demo video from the iPhone 4S launch. Other than performing operations within the iPhone, like setting reminders or speaking out emails, Siri also leveraged partnerships with content aggregators like Yelp, Wikipedia, and Wolfram Alpha The True Power of the Wolfram Alpha Knowledge Engine The True Power of the Wolfram Alpha Knowledge Engine Read More . Over the years, it also added Fandango, OpenTable, Rotten Tomatoes, Shazam, Yahoo, and Bing as partners. With these partners onboard, you could ask for restaurant recommendations and book a table there, get movie reviews, identify a song playing nearby, and much more. The first recurring complaint is that Siri’s voice-to-text transcription has not been very accurate, and isn’t as good as its competitors. Anecdotally, I’ve experienced this a number of times. Furthermore, I’ve heard the same feedback from multiple sources. But a CNET comparison video from 2013 shows that Siri was actually pretty good at converting spoken commands, even if it was a bit slower. Apple is said to have gained control of the Siri back-end and has achieved an industry-standard 95 percent word detection accuracy. It could be that the accuracy might fare better for people speaking in an American English accent. Here’s an interesting video below which concludes that Google Assistant is better at recognizing various English accents than Siri and Alexa. The second complaint — the one that people have a bigger problem with — is Siri not being able to provide accurate answers to a spoken query. To understand this, we need to first understand how competitors, like Google Assistant, operate differently. Apple unveiled Siri in 2011. Google responded a year later, with Google Now. Instead of being a conversational assistant with a personality, Google Now was pitched as a more functional and resourceful voice assistant that leveraged the company’s best assets. For instance, aside from responding to voice queries like Siri, Google Now had a proactive approach in delivering contextual information without the user manually asking for it. For instance, by dipping into your Gmail account, it would tell what time you should leave from your current location to make it for an upcoming flight or movie. It also told you points of interest when at a particular location, or let you know tracking info for packages being couriered to you. After Google came into the picture, two things were very noticeable: the speed at which it returned a result for your query, and the accuracy of the result itself. We attribute both of these advances to Google, the company’s core strength being software and cloud services. This combination allowed Google Assistant to one-up Siri, something Walt Mossberg stressed upon in the previously linked article. Next, the search giant has its own repository of knowledge thanks to indexing most of the world wide web. Using Knowledge Graph An In-Depth Look at Google's New Knowledge Graph An In-Depth Look at Google's New Knowledge Graph Read More , you can get an answer for most of your questions from Google Assistant. This ability is unique to Google. This is also exactly why Siri (and other assistants) end up responding with search results instead of actual answers — because they have limited sources of knowledge. Google has the entire internet. Since 2012, Google has improved its assistant capabilities with features like Now on Tap. This let Google Now read content within any app and show relevant information. Last year, Google Now was phased out and replaced with Google Assistant. In the process, Assistant gained the personality and conversational nature of Siri, while retaining the intelligence of Google Now. So, has Google’s supercharged Assistant become the perfect digital assistant today? Not exactly. As you’ll see in the video above, since Google relies on information from unverified sources too, there are times when you could get a grossly inaccurate answer to your query. These errors will minimize over with time as Google improves its algorithms, but it’s clear that Google Assistant isn’t something you could trust your life with today. 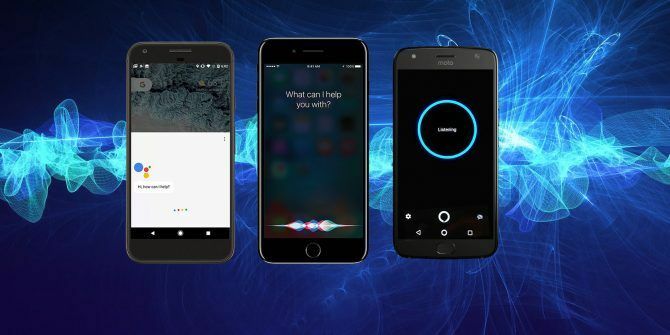 What About Alexa, Cortana, or Bixby? There are serious competitors in the personal digital assistant market. Are they worth your time? Amazon entered the digital assistant space a bit later, in 2014, with Alexa. Although the company doesn’t have a popular smartphone platform like iOS or Android, there are several products today (from Amazon and others) that are powered by Alexa. Apart from a variety of Amazon Echo and Fire TV devices, Alexa is also bundled on many Android smartphones, smart speakers, and even a few smart refrigerators. Alexa’s biggest assets are its 15,000+ “skills” (which mean third-party developer integrations). This is a huge lead when compared to any other digital assistant today. You can check out all the apps that integrate with Alexa on this Amazon page. So while Google may have answers to a lot of questions, Alexa works with way more third-party services. Microsoft Cortana first appeared in 2014. Cortana became a Windows 10 mainstay a year later. 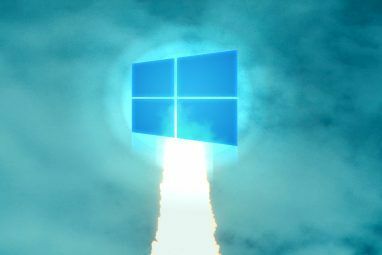 To give you an idea of Cortana’s potential, 30 percent of all computers right now are running Windows 10. Since the Microsoft smartphone platform is more or less dead, Cortana was later ported to Android and iOS. It works similar to other assistants, with a handful of unique features like people-based reminders on Windows Mobile devices. Furthermore, Cortana can sync Android phone notifications How to Sync Android Notifications With Windows 10 Using Cortana How to Sync Android Notifications With Windows 10 Using Cortana You can now sync Android phone notifications with Windows 10 and act on them. We guide you through the setup with Cortana and explain how you can manage your phone from your desktop's Action Center. Read More to a Windows 10 PC. It also works with third-party apps 8 Cortana App Integrations You Have to Try 8 Cortana App Integrations You Have to Try Did you know Cortana can already cook your dinner, put the kids to bed, and wash your laundry? Okay, that's not entirely true, but the potential of Microsoft's personal assistant might surprise you. Read More . Lastly, we have Samsung Bixby, an upgrade to Samsung’s me-too S-Voice companion on its Android phones. Top features Google Assistant vs. Bixby: Does Samsung Have Any Hope? Google Assistant vs. Bixby: Does Samsung Have Any Hope? Samsung has introduced their own voice-controlled competitor to Google Assistant -- but is it enough? Read More include the ability to identify objects by pointing the phone camera at them. Samsung also aims to make Bixby control everything (including interactions within apps and settings) using just your voice. Check out their demo videos for an example. What about Siri’s third-party skills? Well, last year, Apple finally opened Siri up for integration with other apps, but for very limited use-cases. You call an Uber or Lyft, call people over Skype, and make payments using Siri, but not much more. For instance, you can’t ask Siri to play music from Spotify or play a video on Netflix. In comparison, Alexa can even order food and do flight check-ins from popular brands, among many other things. And The Best Assistant Is? As it stands today, Google Assistant and Alexa have functional advantages over Siri, like the knowledge-retrieval ability or the third-party integrations respectively. But since each of these assistants have their own strengths and weaknesses, it depends upon your preference. If you just need a voice assistant to perform basic tasks like sending messages, setting reminders or alarms, then any of these three will suffice. It is evident that Apple isn’t in a hurry to beat Google Assistant or Alexa at what they do best (or maybe they just can’t beat them any time soon). Apple instead wants to Siri to be the get-it-done type of assistant, rather than a crystal ball of knowledge. If you’ve seen the recently-released Siri vs The Rock commercial, you’ll notice the company is emphasizing just that. But one thing is clear, this competition has certainly put pressure on laggards like Siri to bring their virtual assistants up to speed. Which assistant do you prefer and why? Enlighten us in the comments below. Explore more about: Alexa, Google Assistant, Microsoft Cortana, Siri. While Google Assistant may be arguably better, the fact that you cannot use a lot of it’s features if you have a G-Suite account is a big fail. So paid G-Suite users are SOL while free gmail users can access its capabilities. Yup. My guess is that Google probably doesn't build user profiles for paying customers, so the Assistant won't be as effective as it is for typical Google account users.